This special event brings a unique opportunity to Kansas City for businesses and agencies to rethink and reconstruct their social media initiatives, while also connecting with social media managers and marketing and communications pros from leading regional and national organizations – some of who are mentioned below. To promote maximum engagement at the event, limited registrations are available. 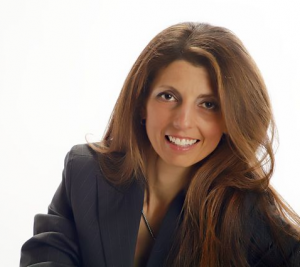 Valeria Maltoni brings more than 20 years of real-world business experience, specializing in taking companies to “what’s next” in their business cycle by planning and building value creating systems that add momentum and performance to deliver strength, resilience, and endurance to the business. She has been responsible for overseeing engagements for companies including Anheuser-Busch, InBev, Allstate, and GE Appliances. During her career, she’s held senior business roles executing growth strategies at global Fortune 500, mid-sized businesses, and small start up companies in 5 industries. Her Conversation Agent blog is consistently ranked among the top 30 marketing blogs in the world on the AdAge Power150. You can connect with Valeria on Twitter @ConversationAge. Joining Valeria and Social: IRL at the event will be an impressive group of attendees responsible for social media initiatives, marketing and communications at businesses and agencies including AMC Theatres, Garmin International, Sprint, UMB Financial, H&R Block, Edelman Digital, MMGY Global, Bass Pro, Triple-I Corporation, Ameristar Casinos, Nebraska Furniture Mart, Kantar Health, Boulevard Brewing Company, the Federal Reserve Bank of Kansas City, and Intouch Solutions. Some local business and agencies, some regional and national. You can view the complete attendee list on the Eventbrite registration page. This special workshop is intended for businesses, organizations and agencies already active on the social web. They’ll be challenged with fresh perspectives and empowered to take their social media strategy and execution to a deeper level. The foundation of the day’s learning will be provided through the main interactive workshop session lead by Valeria Maltoni. Valeria describes this session as “the conversation we never had about social media and desperately need to have to make sense of what works and what doesn’t. The prequel to the tactical implementations that have followed in the last couple of years.” As Valeria takes an in-depth look at how to compete in the age of the social consumer, she will challenge attendees to rethink, deconstruct, and reconstruct established initiatives and look at potentially valuable missed opportunities. You can read about the session in this recent post on Valeria’s Conversation Agent blog and on the event page of our own website. Additional sessions will include valuable advice from a leading social media attorney who will address important legal issues surrounding ownership of online content and communities. We recently highlighted details of this session in the Social: IRL blog. Also sessions looking at the intersection of social strategy and social technology, including some of the latest innovations in Social CRM and influencer marketing. The day will be highly interactive and engaging, both in terms of learning and networking . There will be many valuable opportunities to connect and build relationships with local, regional and national social media thought leaders. To promote maximum engagement, a limited number of registrations are available. At the time of publishing this post, just 32 registrations remain open. The rate for attending the event is just $145 for the entire day, or just $85 for non-profits, educators or students. These highly subsidized rates are possible thanks to the support of Social: IRL sponsors Spredfast, SocialVolt, Expion, Spiral16, Appinions, emfluence, and ManageFlitter. Locally,we also very much appreciate support for the event from Garmin, Crowne Plaza Kansas City, and the Social Media Club of Kansas City. Attendees will also have the chance to win some great giveaways from Garmin, ManageFlitter, and Kansas City’s Boulevard Brewing Co.
Visit our event page to learn more or click the link below to register now, while places remain available.